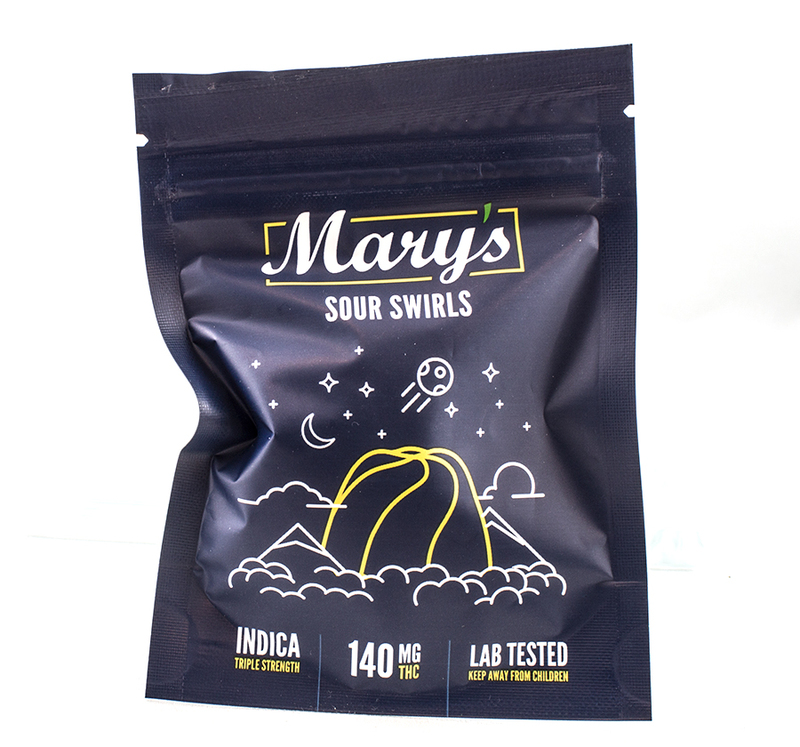 These yummy swirls are a great way to medicate! Directions: Always start with a small portion (e.g. 1/4 of package) in order to determine your tolerance level. Storage Instructions: Can be stored at room temperature for up to 3 months or refrigerated for up to 1 year. These are very good... Only 2 pieces and I wouldn't suggest eating a half pack. I split them with my wife and we ate about a third each. That was all that was required..very good. You can definately taste the bud in these but they are very nice. Marys's are alright. taste alright. as advertised. Eat whole bag lol! they will help you relax until you fall asleep.